An international contemporary music collaboration involving two of Australia's leading contemporary jazz musicians – Peter Knight and Christopher Hale – and Sunny Kim, a Korean singer of growing international repute. Bright Splinters has performed in Seoul a number of times and appeared at the Yeosu World Expo in 2012. The group is currently working on an album for release. This project was conceived by Melbourne trumpeter/composer Peter Knight and Korean music producer Hitch Kim (Plus Hitch), who have worked together on two other tours in Korea with ensembles led by Peter. During those projects Peter developed an interest in contemporary and traditional Korean music, and when Hitch introduced him to the music of Sunny Kim the connection was immediate. 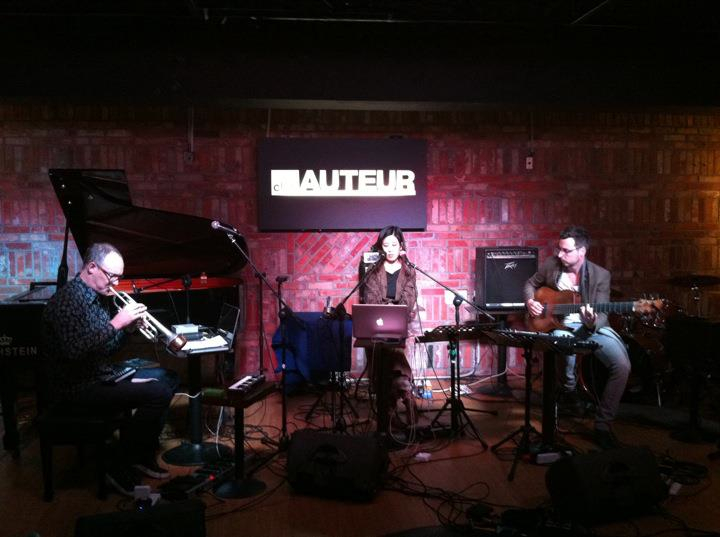 Peter, Sunny and Christopher aim to integrate jazz, experimental, and electroacoustic approaches and to tap into the potential of cross‐cultural collaboration while working towards a future in which truly new music that engages Asian and western influences are part of the cultural fabric of our region. With her cutting edge vision for music and truly unique vocal style, melding elements of jazz, classical, electronic and Korean folk music, Sunny has gained recognition worldwide. She is based in Seoul but lived for an extended time in the US and currently divides her time between Seoul and New York performing with groups led by Roswell Rudd, Min Xiao Fen, Pheeroan AkLaff and Gino Sitson and regularly tours America, Korea and Japan. She has appeared on numerous radio and television stations including Arirang TV, EBS, and WGBH as well as Korean newspapers such as Korea Daily and Korea Times and has received rave reviews for her work. She also leads several projects and has produced a number of albums as leader. Multi-instrumentalist Christopher Hale is emerging as one of the most distinctive musicians in Australian improvised music. The UK born performer/composer has been garnering rave reviews as one of the leaders of a new generation of Australian improvising musicians, and is widely recognised as one the country’s foremost exponents of the bass guitar. His unique approach to the six-string acoustic bass is characterised by a highly developed and complex harmonic awareness (particularly his unique chordal approach), formidable rhythmic strength and a fluid and agile melodic sensibility, informed by an expansive range of influences and experiences. He has performed throughout Australia and across the US, Canada, UK, Switzerland, Germany, Spain, Denmark and the South Pacific at major festivals and events, including the Copenhagen Jazz Festival, the Banff Cello Festival, Live en Aout (Noumea), almost every major Australian music festival and in clubs and concerts halls across the US and Europe.